Cricketers, who are primarily seam bowlers, do not often go on to contribute handsomely with the bat and over the course of cricket history, there have been only a handful of such cricketers. For instance, players like Sir Garry Sobers will go down in history as one of the finest all-rounders to have ever played the game but what needs to be considered is that he was primarily a batsman and in addition to that, often bowled spin. The objective of this particular exercise is, however, to take a look at the all-around exploits of cricketers who were not only outstanding bowlers but had the ability to win games as frontline batsmen as well. Now that the objective of the article is out of the way, let's take a look at five of the best seam-bowling all-rounders of all time. Former South African great, Jacques Kallis will go down in history as one of the finest top order batsmen to have ever played the game and a tally of 13289 Test runs coupled with 11579 more in one-day international cricket is a testimony to that fact. However, what is often forgotten is that Kallis was an equally effective seam bowler, who could swing the ball both ways and for a long time in his career, he was deceptively fast. In fact, his ability to bowl at a good pace saw him open the bowling for South Africa in plenty of one-day internationals and his record as a seam bowler would be a cause for envy of many specialist seamers. 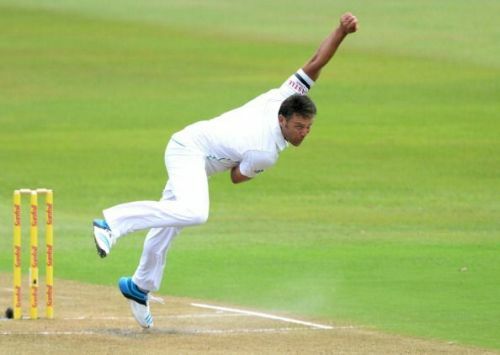 In 166 Test matches, Kallis took 292 wickets at an average of 32.65 and remained one of the world's finest all-rounders throughout the course of his 18-year international career. In one day internationals, he did better. In 328 games, he may have picked up 273 wickets but he recorded an average of 31.79 and in addition to that, went for only 4.84 runs per over. He remains one of the finest seam bowling all-rounders to have ever played the game.